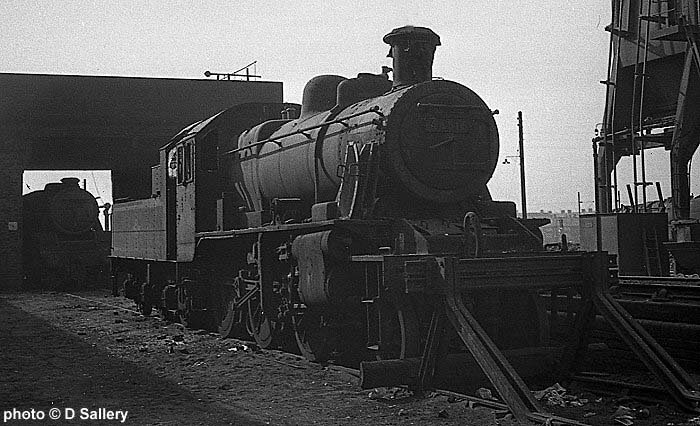 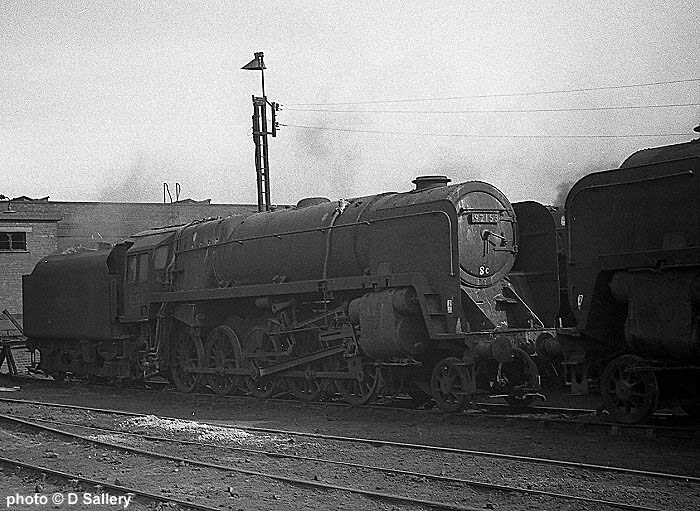 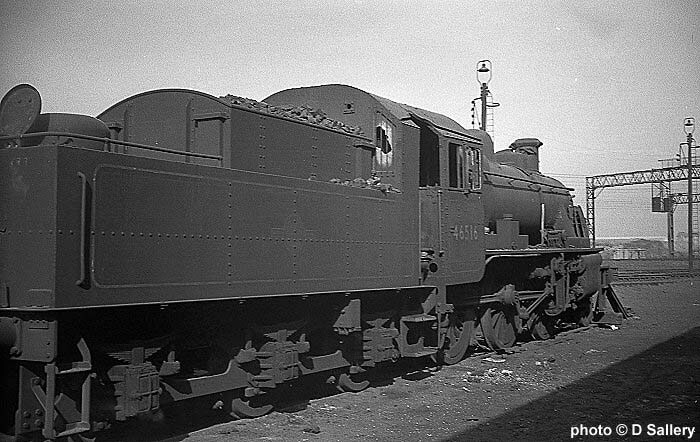 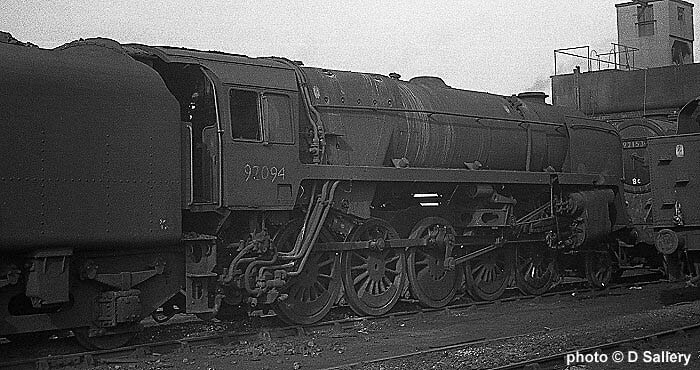 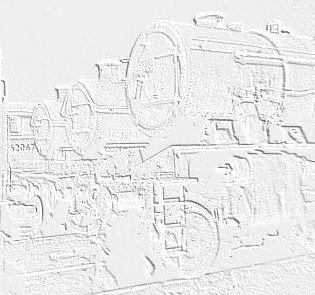 BR Standard 9F 2-10-0 No. 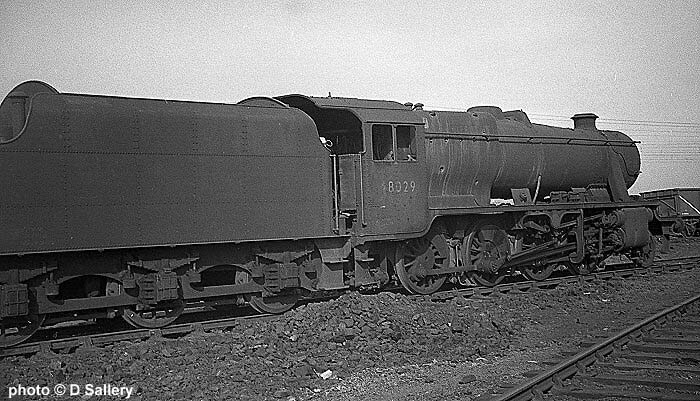 92153. 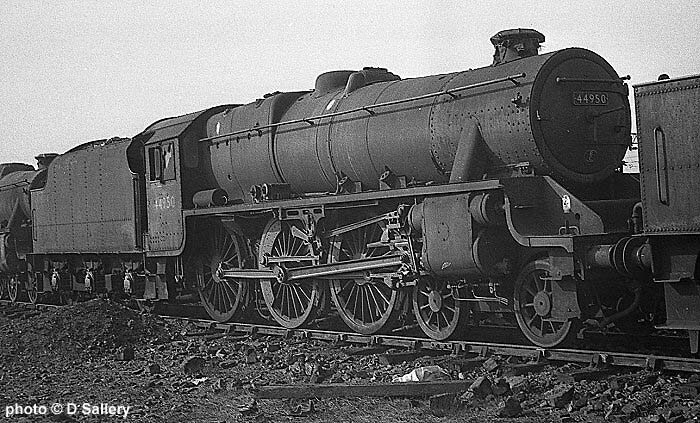 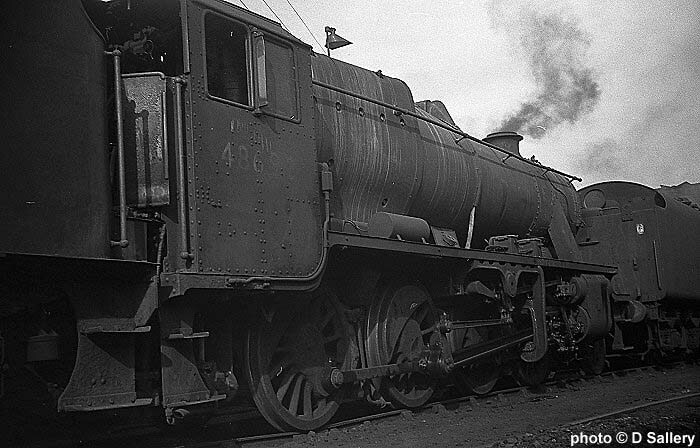 Ex LMS 2-8-0 48692 in typically work stained condition. 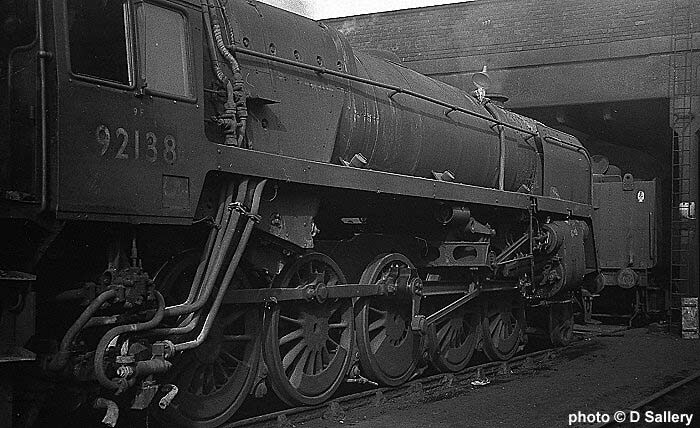 Another 9F, this time 92138. 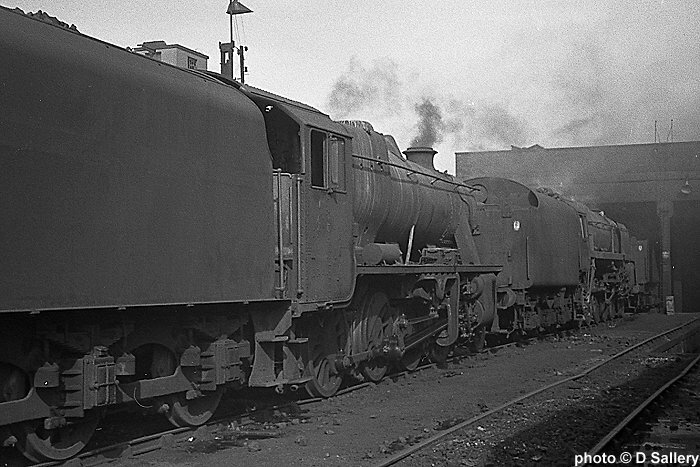 One of the few smaller locos on shed was this withdrawn ex LMS 2-6-0 46516. 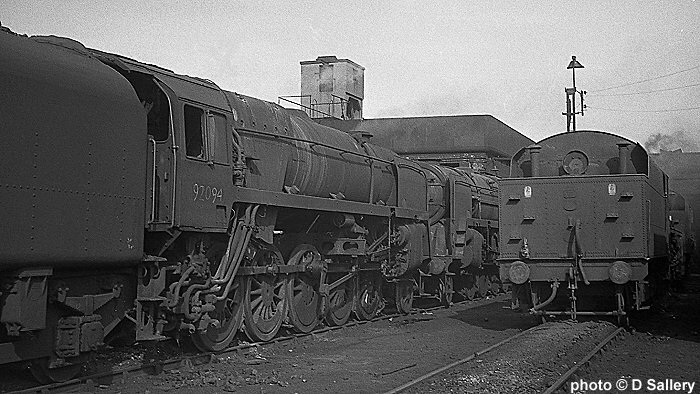 In the scrap line alongside the electrified Liverpool - Crewe line is 48029. 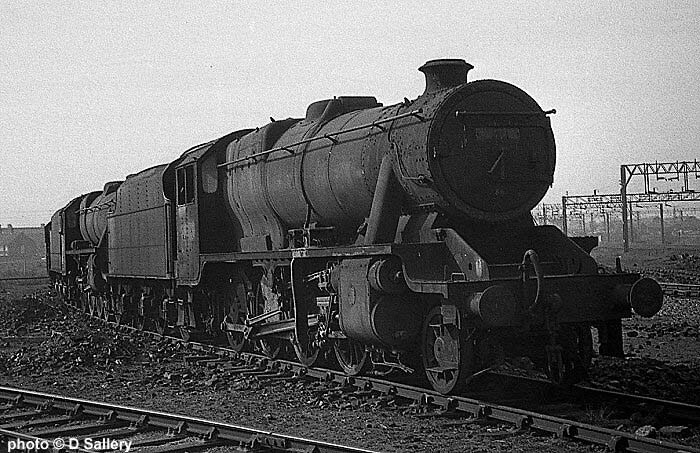 Behind 48029 was this ex LMS class 5 4-6-0 44950. 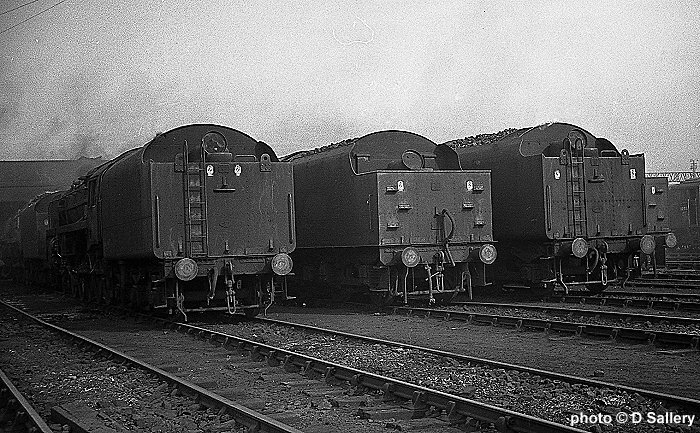 All the atmosphere of a 1960's steam shed can be seen in these three views.